Please leave enough travelling time as The Great Yorkshire Show attracts many thousands of visitors each day – hence there may be traffic build-up. 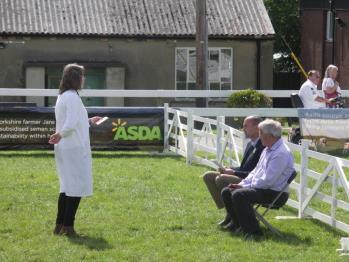 The competitor will be required to judge and place one ring of four dairy cattle. The competitor will be required to judge, place and give POSITIVE reasons on a second ring of four dairy cattle (breeds to be advised).